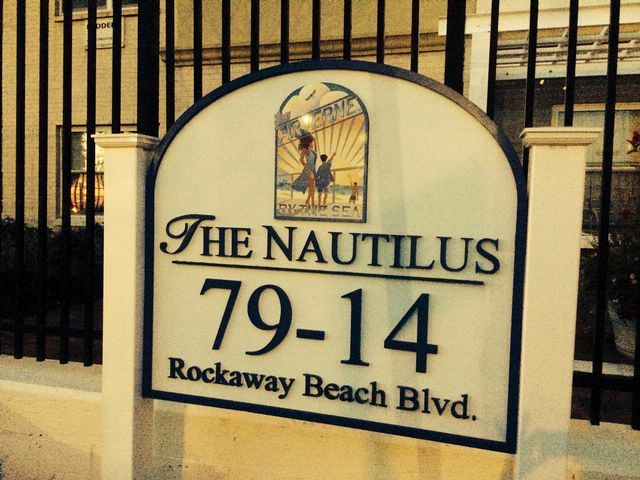 Fabulous 2 bedroom 1 bath condo located in the Nautilus building in Arverne. Everything you need is in walking distance- shopping, trains and even the new YMCA!! Walk right up ( or take the elevator) to this spacious home, kitchen has all stainless steel appliances plus a pass through to the open living / dining room. Bright and sunny, extra low maintenance, tax abatement until 2019. There is a laundry room , party room for special occasions, playground and barbecue areas all on the premises! it's a no brainer!!!! !